Daylily plants can provide a splash of color and beauty to any garden. In order to properly care for these plants, you should separate them every three to five years, because overly large daylily clumps do not grow as well as smaller clumps do. In order to do this, all you need are a few simple tools and instructions. Dig up the existing plant. 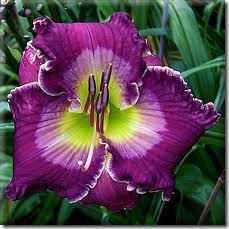 Dig deeply around the daylily plant so you can pull the entire plant and its roots out of the ground. Gently pull out the daylily plant after you have created a large enough hole around it. Rinse off the dirt. Hose down the roots (gently) or use a watering can to rinse the dirt off of the roots. This will enable you to see the plant more carefully while working with it. Separate into fans. Pull apart the daylily with your hands, or else use pruning shears to cut it apart. Make sure you keep the roots intact as you do this. You can separate each clump into a few separate fans, or plant sections. Let it dry overnight in the shade. This will allow the plant to heal in the places where you had to cut it or tear it apart. Replant. You can use your original hole for one of the plantings, and then dig new holes for the rest in other parts of your garden. You may also wish to give some of the plants away to friends if you have too many after separation.